Chat and support for pregnancy, babies, toddlers, kids, tweens & teens, plus fashion & beauty advice, competitions & more! We love to support Irish companies and one of our favourites is the XV Kings collection, from Irish Rugby legend, Tommy Bowe. Its a high quality, well priced and very stylish range for men. My hubby has a few pieces from this range himself and he really likes it so I know this will on his wish list this year!! See the full collection here and you can buy it online or in good mens retailers nationwide! Some of our favourites are the gilets and warm jackets, effortlessly cool and stylish while being perfect for this cold snap we’re having. Lovely for any guy who likes his style & comfort! Dumbo Goody Pack to give away!! Charlotte Tilbury – fabulous for your face! Marshes Little Monsters, last Sat of every month! From grubby hallway to clean and bright entryway!! 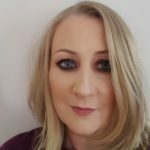 My name is Joanne McHale and I am a doctoral student at UCL Institute of Education in London studying gender in the early childhood workforce in Ireland and I invite you to take part in a survey as a parent of children attending preschool or creche. Feeling a bit tired? Want an energy boost? Natural Medicine Company has a new range of spray vitamin and mineral supplements that we are really liking. A quick spray inside the side of your mouth and hey presto, you’ve got your vitamin boost for the day! If there’s one thing we’ve learned from famous train hopping dog #Hamish who hopped onto a train at Kildare and went all the way to Heuston station, its that doggies should be micro chipped! It took over 24 hours to find his owners but if he had been chipped, this would have been much easier! Obeo food waste bags to be won! Mams.ie Marshes Parent & Tot coffee morning 2nd May! kittykat02 on Obeo food waste bags to be won! Jenny on Win a personalised necklace from Merci Maman! Rachel Ronan Duggan on Dumbo Goody Pack to give away!! Jenny on Dumbo Goody Pack to give away!! Ramona on Dumbo Goody Pack to give away!! Your one stop shop for support, advice and chat from bump to baby to teens!